The Lake Limboto Charm Festival 2018 officially kicked off on Thursday with a festive ceremony at a venue near the lake in Gorontalo regency, Gorontalo province. Various performances graced the ceremony to entertain visitors of the festival, which will run until Sept. 25. Among the shows presented were a colossal traditional dance and a colorful fireworks show. Many activities are scheduled for the festival, such as a local cuisine market, a fun bike, a Dulamayo adventure, a color run, an exhibition, a photo and video competition and a seminar on Lake Limboto. 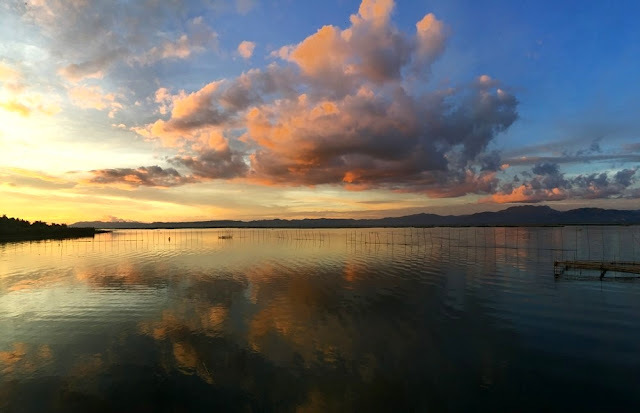 The festival's committee head, Hen Restu, told Antara that the festival would be held in several locations across Gorontalo, such as near the lake, Taulaa Beach, Biluhu district and Dulamayo peak. "For this year we highlight 'Lake Limboto, the Pearl of Gorontalo' as the theme," said Hen. The festival aims to build awareness in all parties to preserve the lake as potential site for tourism. The lake itself hosts many species of fish, reptiles and birds.